Why are Metro Transit officers occasionally accompanied by DHS officers? Metro Transit police officers checking fares on the our vehicles have a routine: They board, announce tickets will be checked then go through the process from one end of the train to the other ensuring all passengers have paid their fares. On occasion, they will have officers from other agencies in tow. For more than a decade, members of the Department of Homeland Security Visible Intermodal Prevention and Response team have been among those partner agencies. They are an extension of DHS security, members of the Transportation Security Administration or Air Marshals, that are often seen at airports and occasionally branch out to transportation in cities throughout the country. 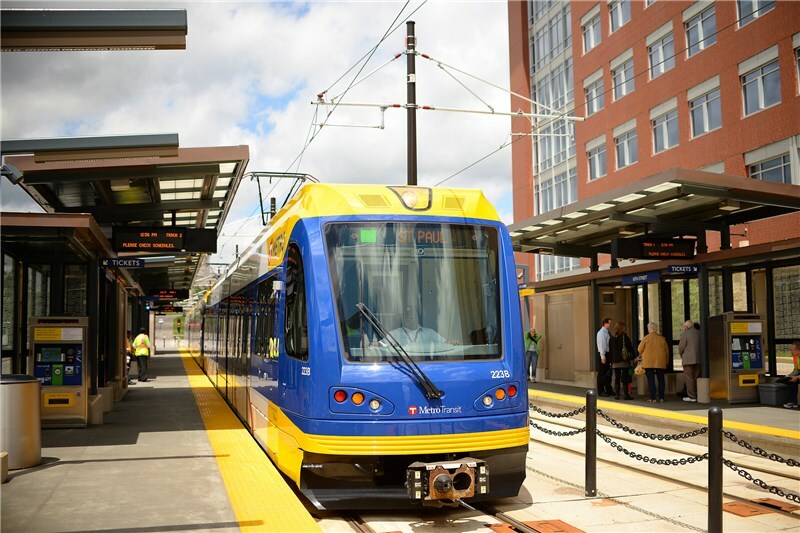 In the Twin Cities Metro Area, the team works in conjunction with Metro Transit police officers and does no transit enforcement on its own. In addition to regular work with our officers, the members of this team will often be seen at special events in the Twin Cities Metro Area, including Minnesota Vikings games as an example. The collaboration with other agencies provides an understanding of Metro Transit officers’ work and an opportunity to strengthen partnerships so that Metro Transit officers can work with those agencies more seamlessly in the event of an actual emergency or during times of heightened security. The occasional additional sets of eyes and ears on Metro Transit vehicles also helps to increase security on the trains and buses, working to ensure that thousands of riders and the members of the communities Metro Transit serves safely arrive to work, school and any number of destinations on a daily basis.